At Guitar Center South Miami, we're as diverse as the city itself. It's not unusual to walk in and hear a few different languages being spoken... but of course, the one language we all have in common is music. That's why we're so dedicated to helping you create it, with our impressive selection of pro audio, lighting, drums, keyboards and guitars. Ready to take the next step toward keeping the Miami nightlife thriving? Come in for a chat or give us a call at 305-271-2600. Guitar Center South Miami provides comprehensive guitar repair services for the Miami area. Our repair technicians are as passionate about your guitars and basses as you are, and we have the experience needed to keep them performing at their best. Whether you need a quick adjustment to make your guitar easier to play, or a complete guitar rebuild, we have the tools and know-how to take care of your instrument. Guitar Center South Miami can also help build a maintenance plan that fits you and your guitar or bass needs, including custom setups, restrings and more. We also take care of fret repairs, hardware and pickup installations, upgrades and customizations, bone and graphite services and more. Opened in 1996, Guitar Center South Miami was one of the first GC locations to arrive in Florida and we've been a cornerstone of the Miami music and nightclub scene ever since. With some of our original 1996 staff still on the team, we have one of the most veteran crews in the instrument business, ready to tackle and solve any musical challenge. You'll find us at the south end of the Palmetto Expressway, just a block away from the world-famous Dadeland Mall.First and foremost at Guitar Center Miami, we strive to give you the experience that Guitar Center is known for nationwide: big-store selection and prices with small-shop expertise and personality. From sales andrepairs to rentals and GC Pro services, our staff in each department is well-trained to cater to Miami-Dade music-lovers. Our store is open every day of the week, so there's always a right time to visit even if you're on a busy schedule. 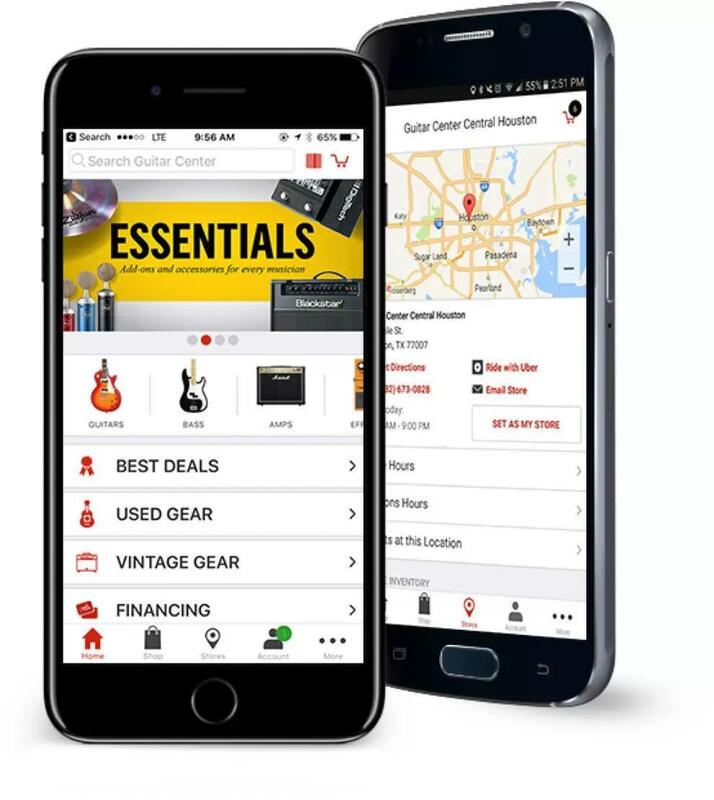 Introducing the Guitar Center mobile app. You can shop on the go, get personalized notifications, explore product reviews while in the store and much more. All the gear you can ever imagine is right in the palm of your hand. For access to your favorite brands and gear, anytime and anywhere, download our free app and find your sound.